I have been investing in China for more than three years and the first China related financial product I purchased was Mattews China Fund (MCHFX) held in my brokerage account with Scottrade. 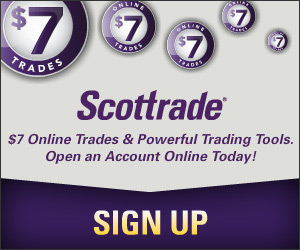 I sold all my position at the end of 2003 when Scottrade started to charge commissions for even the non-load funds. Shortly after, I bought PowerShares Golden Dragon Halter USX China Portfolio (PGJ) and hold the ETF in my taxable account at Scottrade ever since. Meanwhile, I also have China Life (LFC), GrenTech (GRRF), and Taiwan Semiconductor (TSM). The reason I invest in China is not just that I came from China, but also to benefit from China’s tremendous economic growth in the past two decades. As China forecast another double digits growth for 2007, the opportunity is too good to be ignored. If you are interested in investing in China in a basket (meaning not individual stocks), there are several choices available. In addition to MCHFX and PGJ I mentioned above, another one is iShares FTSE/Xinhua China 25 Index (FXI). The above comparison is generated by Yahoo! Finance and the red curve on top is FXI, the bottom blue curve is PGJ, and MCHFX is in the middle. From the performance point of view, FXI clearly is the winner so far. FXI not only has the highest year-to-date (YTD) return, but also generates the highest yield among the three. On the other end, MCHFX, which is a mutual fund, trailed FXI only 5% in return, but the expenses is almost twice as much. This has something to do with the structure of the mutual fund as MCHFX is an actively managed fund which has an annual turnover ratio of 12%. FXI and PGJ, however, tracks their respective index (the annual turnover ratio of FXI is 45% with PGJ at 22%, significantly higher than that of MCHFX). In general, ETFs have lower expenses than their mutual fund counterparts. Note that the companies in FXI are listed in Hong Kong, rather than in US or mainland China. The investment objective of FXI stated in the fund’s prospects: The investment seeks investment results that correspond generally to the price and yield performance, before fees and expenses, of the FTSE/Xinhua China 25 index. The fund generally invests at least 90% of assets in the securities of the index or in ADRs, GDRs or EDRs representing securities in the index. It may invest the remainder of assets in securities not included in the index. The fund also may invest other assets in futures contracts, options on futures contracts, options, and swaps related to the index, as well as cash and cash equivalents. It is nondiversified. To my surprise, PGJ has exactly the same asset holdings as FXI: 34.56% in information, 28.83% in service and 36.61% in manufacturing. The top ten holdings are almost identical to those of FXI, with the only difference being these companies are traded in NYSE (ADR), not Hong Kong. PGJ’s investment objective: The Fund seeks investment results that correspond generally to the price and yield (before the Fund’s fees and expenses) of an equity index called the Halter USX China Index. The Fund will normally invest at least 80% of its assets in equity securities of companies deriving a majority of their revenues from the People’s Republic of China. The Fund will normally invest at least 90% of its total assets in equity securities that comprise the China Index. The China Index is currently comprised of 38 U.S. exchange-listed stocks of companies that derive a majority of their revenues from the People’s Republic of China. which include companies listed both in Hong Kong and mainland China. The investment objective of MCHFX: Long-term capital appreciation Strategy: the Fund invests at least 80% of its total net assets in the common and preferred stocks of companies located in China. China includes its administrative and other districts, such as Hong Kong. Looking at the return, yield, and expenses, FXI is evidently better than other two choices (with fees slightly higher than PGJ). Even though PGJ and FXI hold the same components, the disparity in their performances may mainly due to the difference between the market in Hong Kong and here in US. For example, China Telecom is a component of both FXI and PGJ. However, this stock is up 41.4% in Hong Kong so far this year while its ADR only up 34.8%. The trading volume of FXI is several times of that of PGJ, and the low volume enlarges the spread (between ask and bid prices) of PGJ. In addition to the expenses, trading ETFs, which are traded as stocks but structured similar to mutual funds, incurs broker commissions and that will add additional costs which are not considered in the above snap shot. Unless you have a large amount per trade, the commission will eat a chunk of your return, making FXI and PGJ less attractive for dollar cost averaging. On the other hand, you can buy MCHFX directly from the fund company (not from mutual fund supermarket like Scottrade) with no extra fees. The down side of MCHFX is, obviously, its high expense ratio. I’ve always thought about investing in countries that are experiencing rapid growth, i.e. China, India, etc. It’s true that these developing markets offers great opportunities and the benefits of adding them to my portfolio outweighs the potential risks, in my opinion. If you are not sure about the financial system of that country, then buying those stocks that are listed in a market (like NYSE or Hong Kong) you know can ease a little bit of your concerns. This is a great analysis of key foreign funds. I like to follow chinese stocks, because I too agree there is a large growth potential in that region of the world. I wrote a post on Chinese stocks that sheds some insight on 2 strong chinese stocks and an india-based company. P.S. This post has made my Editor’s Picks for this week’s Carnival of Investing. This is a great post, thank you. Besides this useful info, I want to share with you my experience with an aonline china stcok research company, Chinvestor . They refer to FXI in their newsletter quite a lot and they favor it over to PGJ. There is a na ctual study rthey posted the time PGJ became publicly traded. They suggested FXI being superior over PGJ due to fundamental reasons. They got it right, FXI’s performance has been superb in contrast to PGJ. There is an active message board over at Chinvestor’s site with an ETF session. Look in there to find related postings. Thanks your research. I think China and India are the greatest countries to invest this decade. great article! it’s interesting that these Chinese companies perform differently on HK vs NY stock exchanges. perhaps FXI is over-traded while PGJ is under-traded . . .
Just one comment… Index funds are lazy. They do well when the entire market is going up and perform horribly when the market is going down. On the other hand.. a targeted fund like MCHFX will probably outperform FXI in a stagnant or downward market atmosphere. The reason being that a selection of well picked stocks that don’t represent the overall market will outperform. When picking, this should be considered as well I think. Hey USAToday, What’s This Title?